Cornerstone Fence of Connecticut is a family owned and operated, full service fence company, based in Meriden, CT. We provide quality fence, ironwork installation and repair, at reasonable prices. We offer all types of custom wood fencing; as well as iron fence, chain link fence, vinyl fence, ornamental fence and gates and pergolas. We take pride in the efficiency of our work; as well as our premium service. We are pleased that the majority of our business has been referred from previous customers. Cornerstone Fence and Ornamental Gate maintains a healthy business due to our professional approach and work ethic that carries the highest standards of quality for every job. No job is too small or too large! We take pride in the honesty, integrity, and character of our Cornerstone Fence family and their dedication to dependability, quality and excellent workmanship. The majority of our installers have been with us for over two decades and are trained to the highest standards. Our attention to detail secures the value of your investment. Cornerstone Fence and Ornamental Gate LLC is a family owned and operated, full service fence contractor, based in Meriden CT. We have been proudly serving the states of Connecticut, Massachusetts, New York and Rhode Island for over thirty years. We take pride in the efficiency of our work; as well as, our premium service. 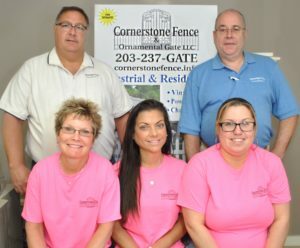 Cornerstone Fence and Ornamental Gate of Connecticut has assembled what we believe are the best team of expert installers to be found anywhere in the state and will always strive to maintain a level of service that is unmatched in the industry. Cornerstone Fence installers are experts in the installation of any kind of fencing you can imagine including wood, ornamental iron, chain link, deer fencing and vinyl. Because our craftsmen are so experienced in working with wood and iron, it was only natural that they branch out into trellises and arbors. You will be amazed at what they can create! Cornerstone Fence and Ornamental Gate of Connecticut’s professional team can create custom fences with almost any feature imaginable; from the material type to the rail spacing and numerous decorative elements. 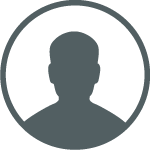 Most importantly, we have numerous testimonials and endorsements from customers. Rest assured, the Cornerstone Fence and Ornamental Gate company is completely committed to helping you achieve the timeless beauty that you desire from your fencing project. We strive to achieve complete customer satisfaction with all of our work!